Grey skies and rain are no reason to stay at home binge-watching sitcoms. Modern rain clothing protects, as the name suggests, against wind and weather, but also has functional properties, which you don't want to miss when you're enjoying your favourite sport. With the right combination of rain gear, outdoor lovers stay nice and dry even in pouring rain. But what should rain gear have? What models are there on the market and what rain gear is there? Waterproof and breathable - what can rain clothing do? Waterproof clothing provides total weather protection, that's obvious. That's not enough for active tours. If you move, you naturally sweat. That's why outdoor rain gear is not just waterproof, it's also breathable. That's achieved with a so-called membrane. It lets moisture from inside out, but doesn't let it in from the outside. Perfect for sweaty activities or rainy days on the bike. Soaked from head to toe - what rain clothing is there? There's not just waterproof clothing for every taste, but for every possibility - and every body part. But one thing at a time! The ‘classic' in the rain wardrobe is the waterproof jacket. This special functional jacket is the prototype for moisture protection. They are absolutely waterproof and - depending on the model - have sealed or taped seams. A welcome side effect: the upper material of a hardshell is robust and resilient. Exactly what you need outdoors. But it doesn't always have to be a waterproof jacket! For those that like it a little longer, a rain coat is the rainwear of choice. In sudden rain showers, a rain poncho could be your saviour. With its compact pack size, it can be squeezed into any rucksack and its simple design means it can be put on in a jiffy. 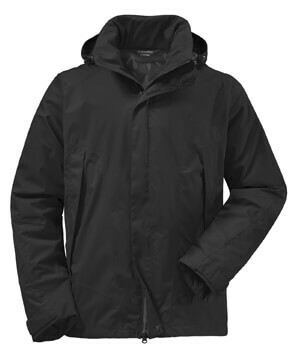 It can also cover smaller backpacks, otherwise an integrated rain cover ensures a waterproof rucksack. As the lower extremities may also want to stay dry, there are also waterproof trousers. 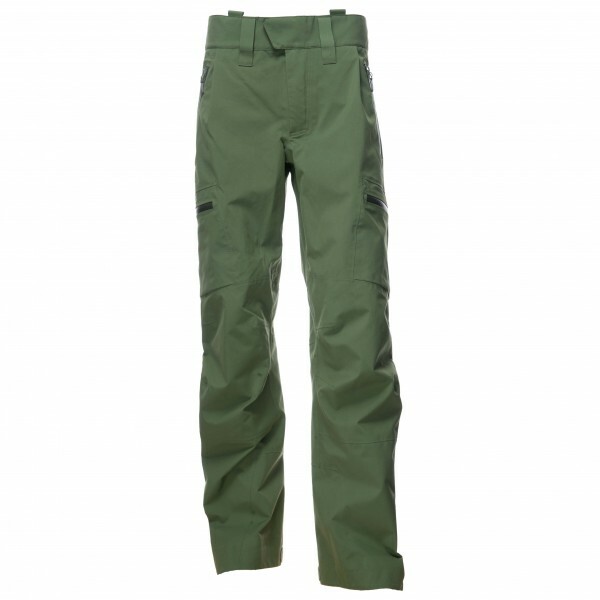 These waterproof trousers are very similar to their jacket cousin and offer effective weather protection. That just leaves the feet. Waterproof shoes or boots keep your feet bone dry in a deluge. If you get caught in an unexpected downpour without rain shoes, there is a ‘saviour'. Waterproof overshoes are quick to put on and keep your feet dry. Vaude, Mammut, Bergans, Marmot, Arc'teryx and other popular outdoor manufacturers offer everything you need to keep dry when touring in rainy weather. For environmentally conscious outdoor lovers, there are bluesign certified products, which strictly adhere to environmental protection and sustainability guidelines! So, put your hood up and get out in the rain!